Stay in Brittany's best hotels! Set in the historical center of Saint-Malo, this 4-star hotel is just a 5-minute walk from the cathedral and 394 feet from Saint-Malo Marina. The hotel is well positioned just inside "intra-muros". If you are arriving by car, inside St.Malo ie intra-muros, driving is not for the faint-hearted, narrow twisting roads with one-way streets the order of the day! Miss your turning & you will have "fun"(?) guaranteed! The hotel has a parking which we didn't use - our car was a bit long & the parking entrance somewhat narrow. However the hotel is very close to an entry to the town & there are parking lots very close by. Located in Rennes City Center, Hôtel Anne De Bretagne offers air-conditioned accommodations near the old city and its cafés and restaurants. It offers free WiFi in the entire hotel. Nice, quiet room; good location, friendly staff, great breakfast. The Hôtel Kyriad Rennes is located in central Rennes, opposite the SNCF train station. Serviced by a elevator, it offers air-conditioned and soundproofed rooms with free Wi-Fi internet access. We have book the room for 3 Beds and the room was great, good design and nice facility With reasonable price . Hotel Best Western Plus Le Roof with sea views is located on the shore of Conleau Beach and the Gulf of Morbihan. It has well-established gardens, beach access, 2 restaurants and a bar. Hotel is in the quite environment, with very nice view over the beach. It is good for sport activities, to relax and enjoy the nature. Breakfast was good, employees are very helpful and they wanted to meet all our requests. Two restaurants with nice sea food are offered. Much better choice than to stay in the city center. There is a public transport and by car it is 5min to city center. Also good location to visit south Brittany. La Petite Sirene overlooks the sea and Belle Ile and offers rooms, studios and apartments with sea or garden views. It also offers free Wi-Fi and free on-site parking. First morning, there was eggs & bacon plus the usual breads, cheeses, yogourt, fruit, coffee, etc. Second morning, NO EGGS/BACON....We were a little disappointed. Facing the beachfront in Trébeurden, Pavillon de la plage has a terrace. This 3-star hotel offers luggage storage space and free WiFi. The ambience. Madame et Monsieur. Location. Featuring a garden, Hôtel Ginkgo is located in Quimper, a 1-minute walk from Locmaria Botanical Gardens. Staff was great, and location likewise. Located in Perros-Guirec, Hotel du Parc features a terrace. This 3-star hotel offers free WiFi. Local cuisine is served at the restaurant. Really enjoyed my recent stay at Hotel Du Parc. The reception staff were extremely help and helped carry my motorcycle panniers up to the room. The room was excellent, mice comfortable bed and a lovely bathroom. Stayed in room 101 overlooking the square. The hotel has a small private car park but you are advised to book ahead there is only 6/7 places. I didn’t eat at the hotel but the restaurant was packed in the evening more popular than local restaurants. 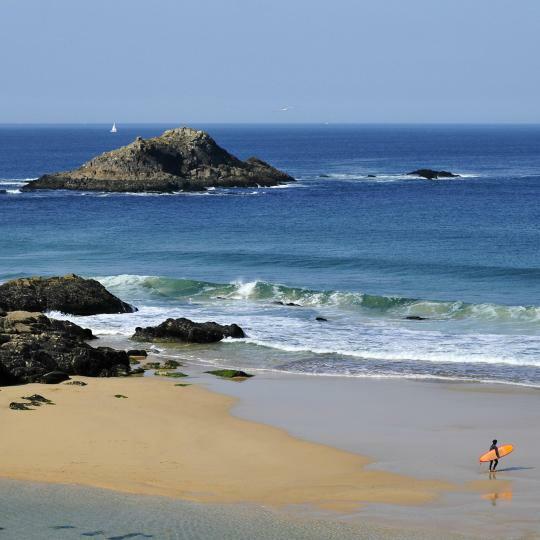 Hotel du port is located in Locquirec, 13 mi from Perros-Guirec and 16 mi from Roscoff. Guests can enjoy the on-site bar and the hotel's terrace. All rooms come with a flat-screen TV. The moment we walked into the room we relaxed , the view was beautiful , the room was pristine , the bed was so comfy , lovely shower and the hotel was quiet at night . We will definitely stay at L'Hotel du Port again and recommend it . Featuring a spa with indoor pool and steam room, BW Premier Collection Le Saint Antoine Hotel et Spa is located in Rennes, 820 feet from the train station and 656 feet from the National Theater. Lovely rooms, great comfort, spa really worth the visit. Breakfast - loved the Rennes fresh juices. Le Magic Hall is located in the Center Ville district in Rennes, 1969 feet from Rennes University Hospital and a 1-minute walk from the Palais des Congrès or Saint Pierre Cathedral. We really enjoyed our stay here - better than expected. Ar Gavotenn is located in Le Saint and features a garden and a terrace. Providing a restaurant, the property also has a bar. Both private parking and free WiFi are available at this property. I was late arriving due to problem with my car but the host waited up to let me in. With a 24-hour front desk, Balthazar Hotel & Spa - MGallery by Sofitel is located in Rennes, just 656 feet from the Fine Arts Museum. Free WiFi access and air conditioning are provided at the hotel. Reception staff was friendly and helpful. The room was comfortable and well equipped. Offering a restaurant, Hotel Bel Air is located in Crévin, just 11 mi from Rennes. It offers free Wi-Fi internet access, an on-site bar and a garden. Very easy to get to from the Motorway. Clean, modern and spacious room with big separate bathroom. Hôtel La Gibecière is located in Lohéac in the heart of Brittany and offers free Wi-Fi internet access and a terrace. Located on the French island of Belle-Île-en-Mer, Hôtel Restaurant Corto Maltese is in the center of Le Palais and 1640 feet from the Marina. The people in charge of this hotel are very nice and have been very helpful. This beachfront hotel is just a 5-minute walk to the historic center of Saint-Malo and 3117 feet from Saint-Malo Marina. Stayed in the blue room. Very nice. Wonderful view. Hotel Saint Melaine is located in the center of Morlaix, on the town’s oldest street. It offers soundproofed rooms, a restaurant and bar. Public parking is available nearby. Good value for money and very friendly staff. Hotel des Rochers faces the small harbor of Ploumanac'h, just at the start of the coastal footpaths of Perros-Guirec. The staff is beyond helpful, courteous, professional and kind. Brit Hotel Atalante Beaulieu is 10 minutes from central Rennes and offers comfortable accommodations with modern facilities in a contemporary setting. It welcomes you 24 hours a day. Good location for a stop on our route to Spain. Excellent breakfast. Located in the heart of Roscoff, this sea-side hotel offers panoramic views of the sea and features free WiFi access. Lovely clean comfortable hotel and the staff were exceptional! Very helpful and friendly. Logis L'Auberge, a charming 3-star hotel in Sainte Anne dAuray, welcomes you to a warm, calm and refined atmosphere. Hotel Vintage is set on the banks of the River Ellé, in the heart of the old center of Quimperlé, just 10 minutes’ drive from the beach. Friendly staff, good sized rooms and good location in center of town. Stylish lobby and rooms. Spring and autumn bring strong tides - watch the powerful waves come in, and discover what lies beneath as they retreat. 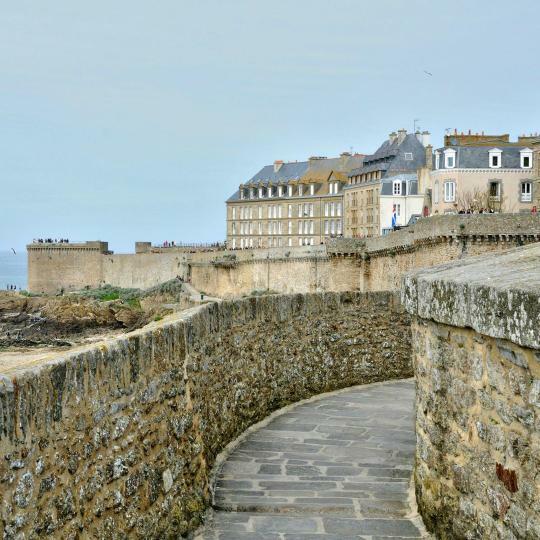 Walk through the historic centre of Saint-Malo and admire its famous ramparts and walkways, which were constructed from 1144. Discover this beautiful bay's 40 islands from an organised cruise or a rented boat. Tread carefully through this mystic forest that legend claims is Merlin's resting place. Here the oyster is a local way of life. 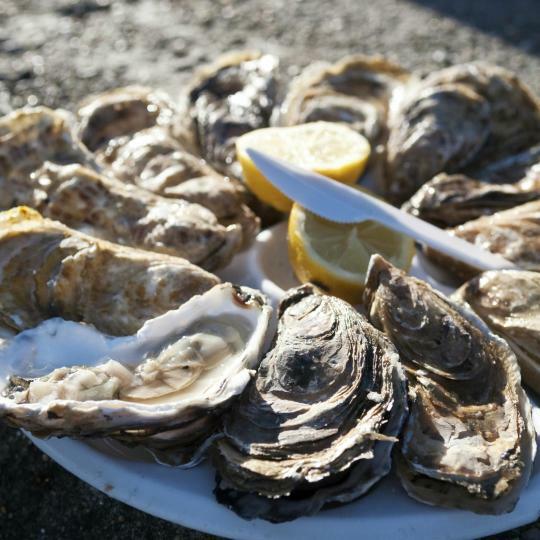 Sample an array of the ocean's offerings with a crisp glass of white wine. Historical shows are held for visitors, revealing the secrets and 13 towers of this fortified medieval castle. 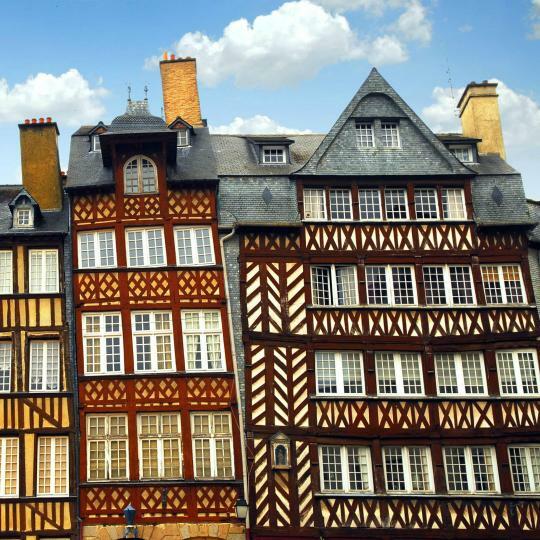 Rennes’ architecture will walk you through history with its grand townhouses, half-timbered houses and the Breton Parliament. 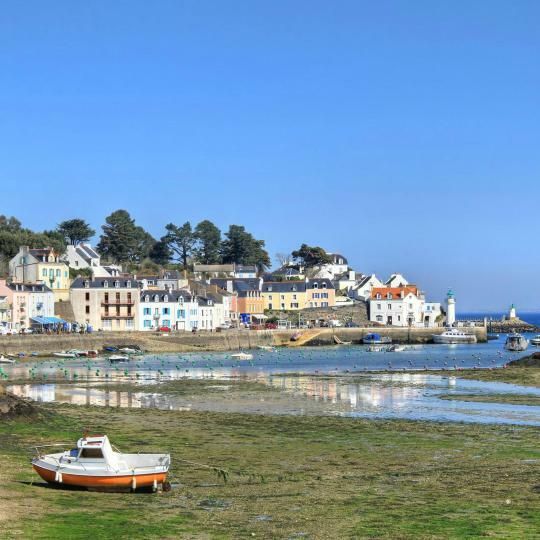 For some of the most spectacular views in the Finistère, head to the rugged Crozon Peninsula by ferry or bike. The strong tidal currents discourage swimmers here, replacing them with sun-kissed surfers catching the long ocean waves. With the usual mix of wild coast, craggy cliffs and sheltered beaches, Belle-Île is Brittany's largest island, fantastic for walking and cycling. Kind of hard to encapsulate this! Kind of hard to encapsulate this! 2 day stay of a whirlwind car tour of all of Brittany then off to Paris. Great starting (and ending) point for a tour of southern and western Brittany. Being the capital of the Brittany region, Rennes offers a vast choice of activities to travelers, despite its relative small size. It is extremely easy to get around, as one can easily walk the city center and the bus services (STAR) are very reliable, clean and punctuate. Price ranges in restaurants are quite affordable, offering very good quality as well. Solo travelers may enjoy a tasty galette the historic center or attend various events on their hobbies (for instance, I enjoy board games and I attended a couple of related events). The locals are very friendly and welcoming, providing a great experience to tourists. Overall, recommended! The Cabeston restaurant was delightful. The Cabeston restaurant was delightful. There are not many restaurants open in the evening in Carantec out of season and it appears that all of France is closed on Mondays!!! Think you really need a car for this part of Brittany.There is a bus but it is only once a day. Roscoff is an historical port in Brittany. Roscoff is an historical port in Brittany. The architecture of the buildings is stunning as many of them date from the 16th Century. As you stroll around the town and the port, do look up - you'll see many carved faces and animals where you least expect to find them! There are plenty of restaurants at prices to suit all pockets and tastes. 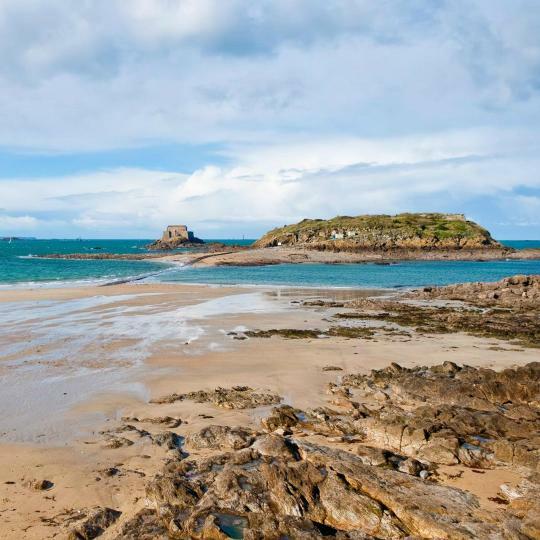 The beaches around Roscoff are absolutely stunning - lovely expanses of beautiful sand and amazing rock formations. There are interesting towns and places to visit which are not too far away and you can find something to do at any time of the year. Enjoy your visit, we certainly do every time! Not the biggest of towns , but that's how we like it . Not the biggest of towns , but that's how we like it . 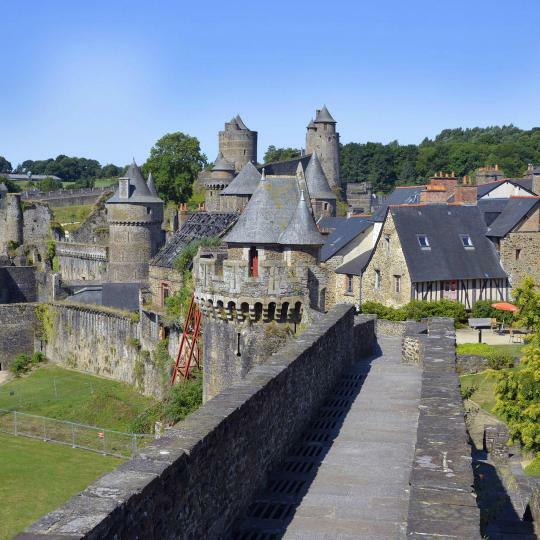 Plenty of things to do in the area , and a good base if you are house hunting in Brittany . The market is not huge but adequate , with hot food stalls aplenty . The Fest Noz , which happened to have taken place where we were there, was absolutely wonderful, people in their regional attire, coming from all over Brittany, dancing for several hours in the square in front of the cathedral. You can see Breton dancing on the internet. Seeing it in person is captivating. The music, the choreography, the unity of all the dancers (there were about 500 of them, in costume, each group attired differently, representing a Breton department (each dept has a number, something like a zip code). Quaint, picturesque city. Charming to the nth degree. Many interesting restaurants, creperies, shops and stores. Friendly people. One of the quaintest small cities in France. Exceptional city of character and charm- medieval buildings, the street down to port is one of most beautiful streets ever, enjoyed shops, artists' galleries, excellent food. Two very nice restaurants to try: Carberry in historic center and Las Terraces down at the port. For those not driving: after arriving at St Malo on Brettania Ferry from England, we took bus into Dinan from St Malo and then bus /train combination leaving Dinan for other parts of Brittany- public transportation network is excellent. Great first night after flight from western US. Great first night after flight from western US. TGV from CDG was convenient and relaxing. Rennes is easy to walk around, and the buildings, squares and landscaping are beautiful and fun to explore, especially early in the morning. After enjoying cafe et croissant, a short walk to catch TGV onward to Brittany coast at St Malo. Vannes is a wonderful city to stay to explore the Gulf of Morbihan, Carnac and The Brittany coast. The old walled town has a wonderful charm. People very friendly. Try the local sardines. We spent one day in Rennes at the end of several days in Brittany. It does have an old center, fun to walk around, but to us very cool thing is this is a real living city and not a tourist place. Many people did not speak much English so we got to experience something a little more off the beaten path. There is a lot of very high-end shopping if that is Your thing. The Ti Al Lannec was a wonderful place to stay. The rooms were exceptionally well arranged, classic but modernized, with everything you could want and our view was beautiful. The food was excellent, and the dinners showed a nice variety, including vegetarian options (not so common in Brittany). Their daily suggestions for things to do in the area were fun and we used their advice several times. We particularly enjoyed simply spending time in the pool and terraces watching the beautiful coastline and relaxing. Fantastic location steps from beach and port yet high above both with panoramic view if spectacular sunrise. Charming, helpful, erudite host. Nice family style breakfast. Consists of 2 pleasant comfy bedrooms of an occupied vacation home. Great terrace overlooking the North Coast of Brittany. Tub/shower. Safe FREE parking (you really need a car here). Tea and coffee available all day in the living room solarium. Not the usual type place. Hotel is in the quite environment, with very nice view over the beach. It is good for sport activities, to relax and enjoy the nature. Breakfast was good, employees are very helpful and they wanted to meet all our requests. Two restaurants with nice sea food are offered. Much better choice than to stay in the city center. There is a public transport and by car it is 5min to city center. Also good location to visit south Brittany. Our hostess, Rachel was amazing. She gave us great information on what to see as we moved on through Brittany. Her continental breakfast was the best we had our entire trip. She is lovely, and a very fun host. The room was great, looking onto her garden. The room was small but adequate and the bathroom was oversized. Would definitely recommend staying here. Great location, easy free parking right across the street. The staff is very helpful, and the room was quite nice. The actual town was the least interesting of the ones we toured in Brittany, but the room with a sea view made up for part of it. This is a good value and great place to stay if you are interested in Roscoff. The owners were fantastic, the room was incredible, and the location was perfect - just outside town, so nice, quiet and with a rural outlook, while being only a 5 minute drive to restaurants and shops in Dinan. 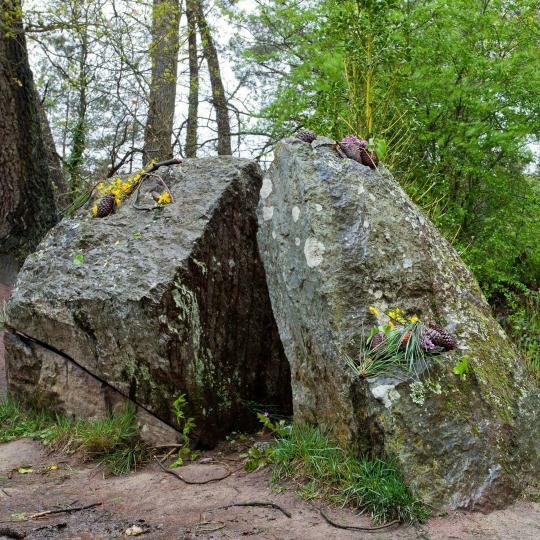 Very close and convenient for exploring Brittany, only 30 mins to Mont Saint Michel ! This room was booked for my Wife and her two sister's at very short notice as they had missed the ferry back to Jersey. They said their stay was very comfortable and all facilities were fantastic. My wife recommends we stay with you when we are travelling through Brittany next. This is the second time we stayed in Fleur de Sel and both times it exceeded our expectations. Great people, great homemade breakfast, nice facilities and super value-for-money. Will stay there again our next time in Normandy/Brittany. View of the harbour from the room was spectacular, lots of restaurants in easy walking distance, easy walk to the Brittany Ferries terminal, comfortable room. Breakfast was continental buffet style - fast and reasonable number of choices. The unique hilltop location in Brittany France gave us a vista view of the bay. In a 70 year old home, it offered close proximity to the Brittany coast and the small seaport town of Paimpol. Hostess Michelle was charming. 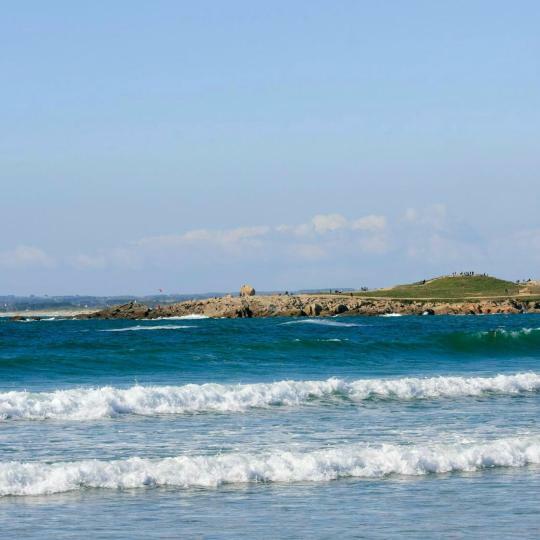 La Chene is located within walking distance of Nevez and to explore this beautiful area of Southern Brittany. We liked the ability to use the kitchen facilities and fridge to eat in by the pool if we wanted. Around the corner from a nice beach. Nice place to stay to unwind in the sun for a few days. 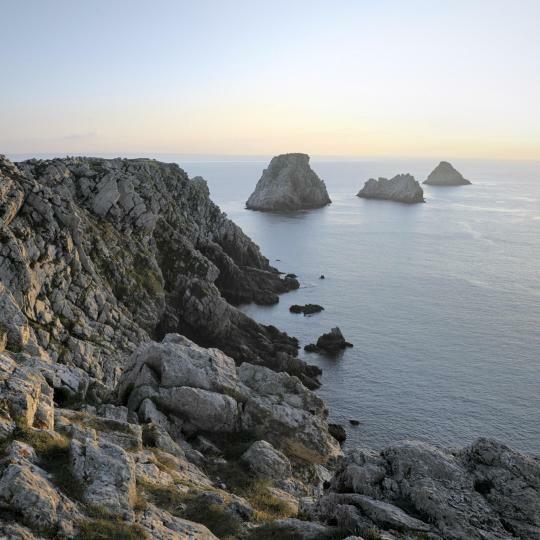 Good base to explore the region - everything in western Brittany is within 1 hour drive. Nice bar downstairs. Friendly welcome, nice large room, pretty gardens and great location close to restaurants and bars. Perfect for overnight stop from ferry port en-route to holiday location in South Brittany. Nice small hotel. A good base to explore the beautiful shores of Brittany. Clean and cozy. Pleasant strolling on the shore on sunset. Not expensive. Breakfast was really good and our host gave us a great recommendation for a hike in the morning along the Brittany coast - it was awesome! Friendly hotel and great activities in the resort.